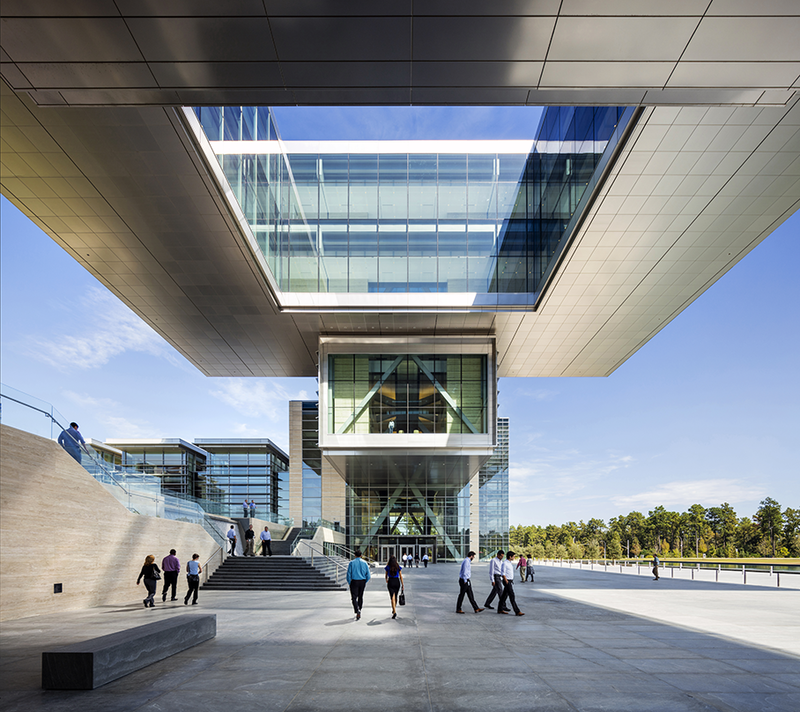 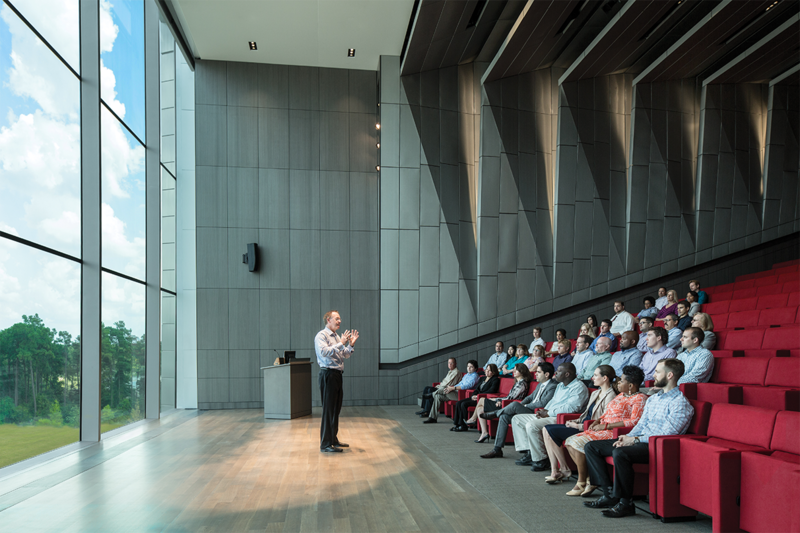 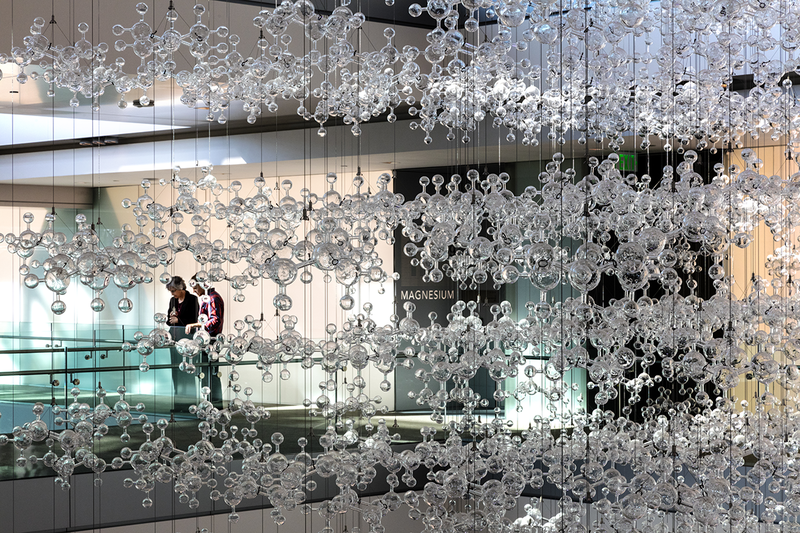 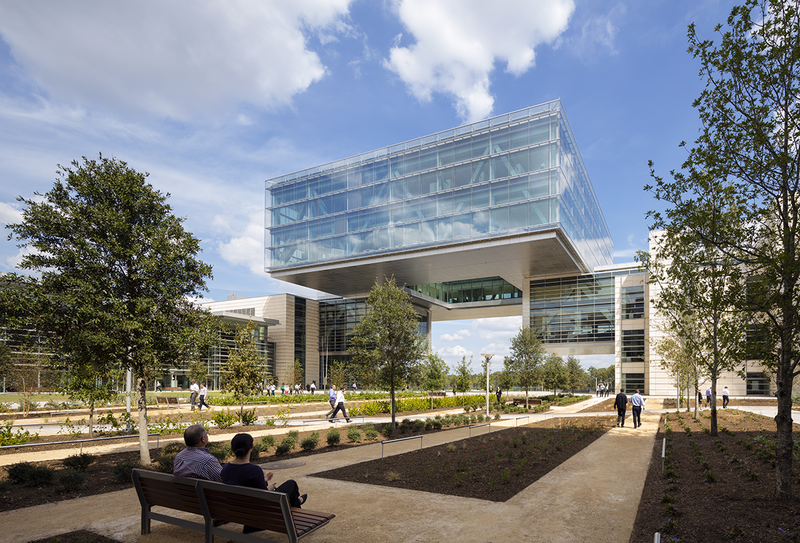 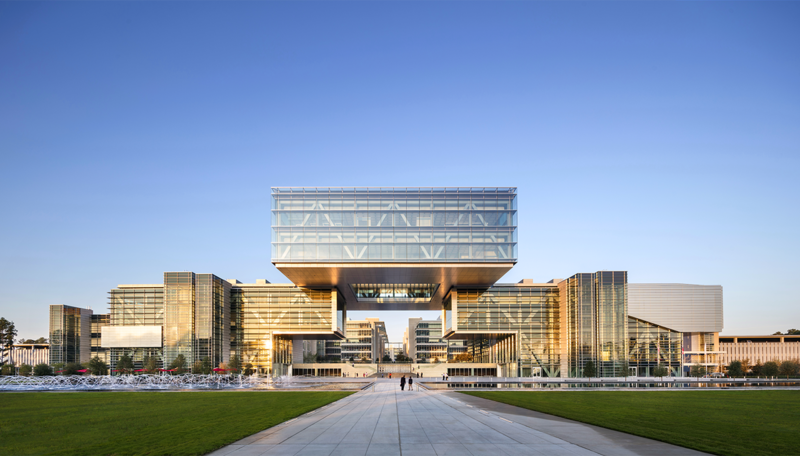 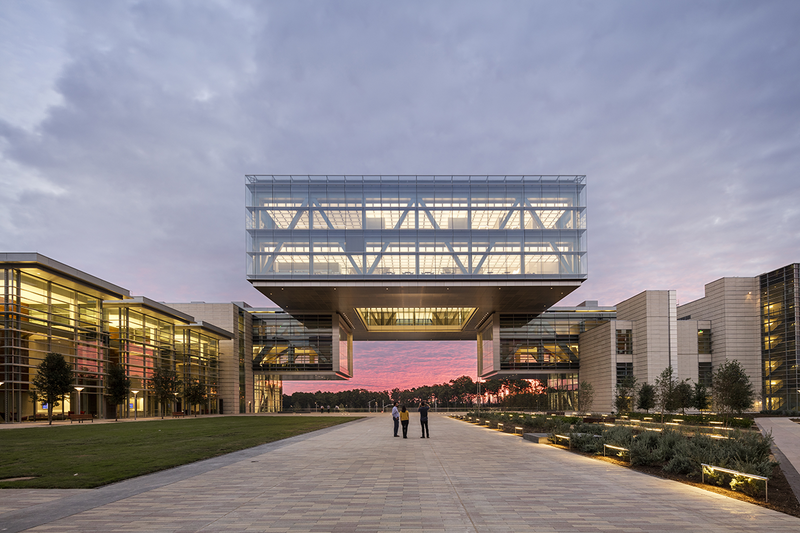 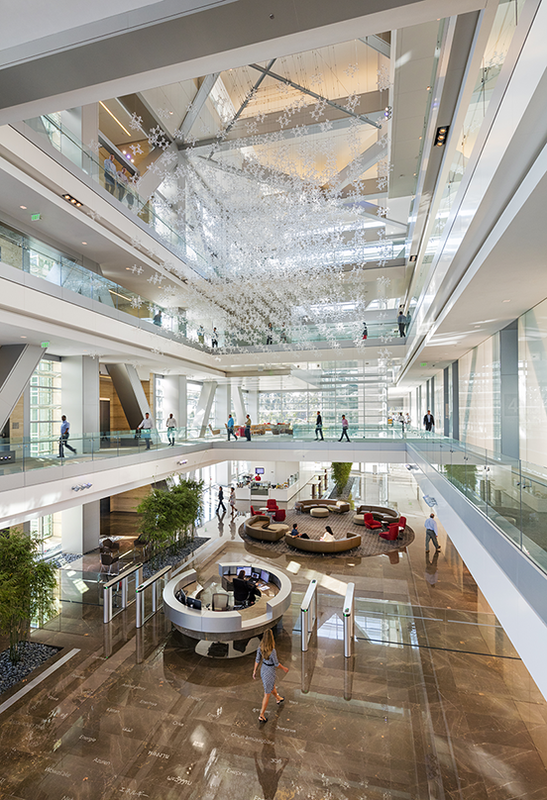 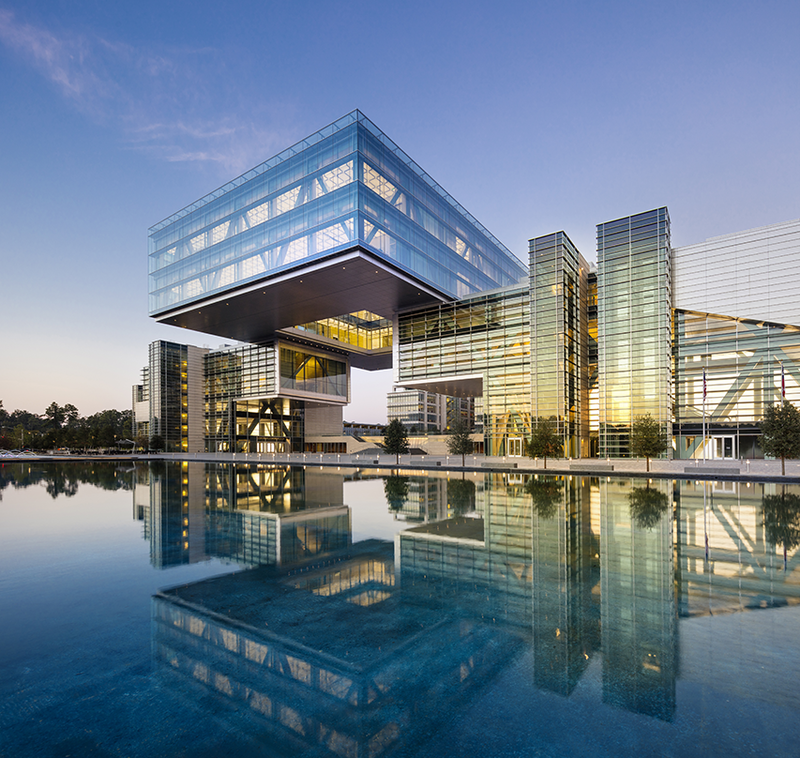 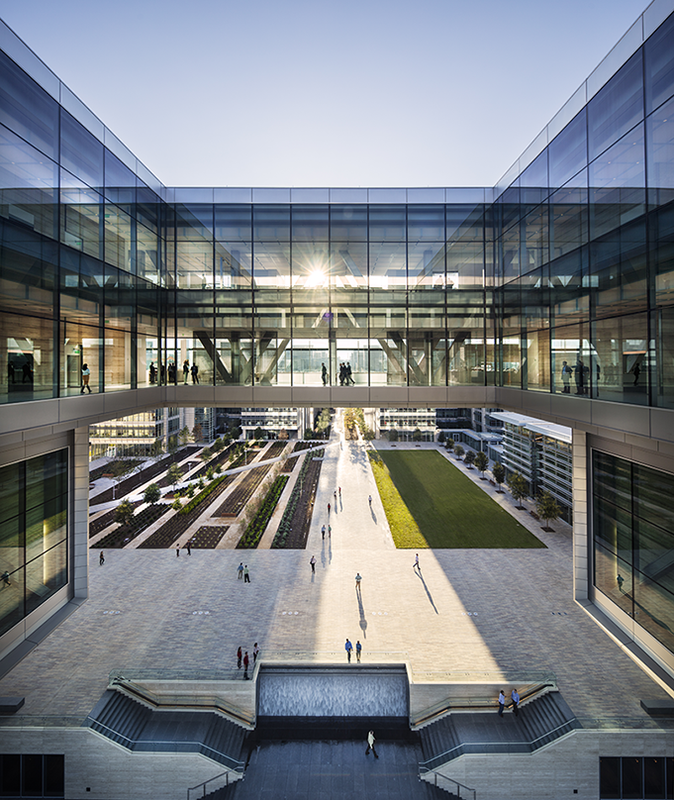 The iconic jewel of the campus, the Energy Center is designed to embody the company's commitment to leading technology and engineering while showcasing its heritage, people and leadership. 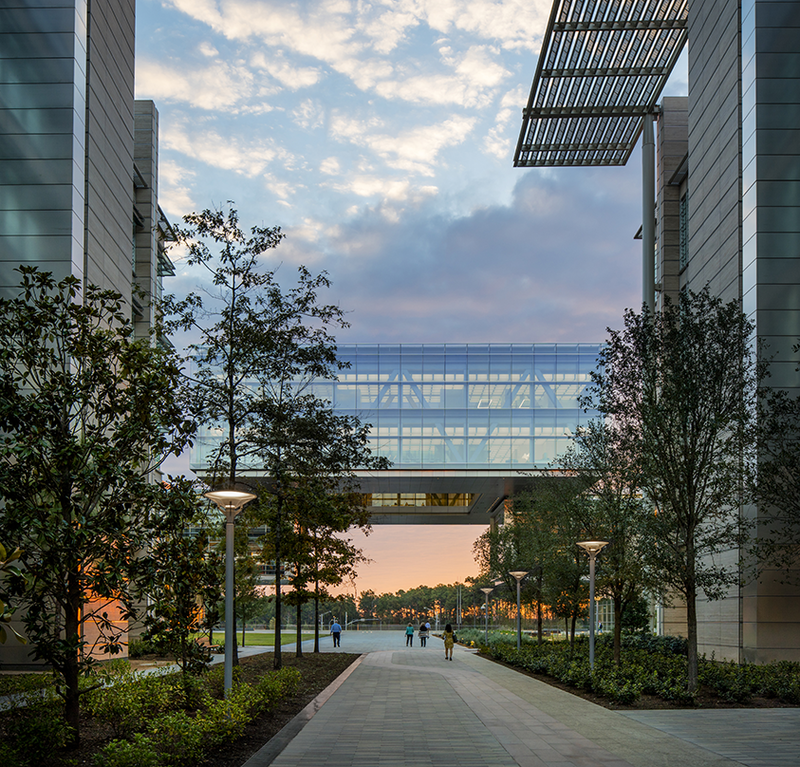 It serves as the front door of the campus, reception for dignitaries and visitors and space for training as well as larger community events. 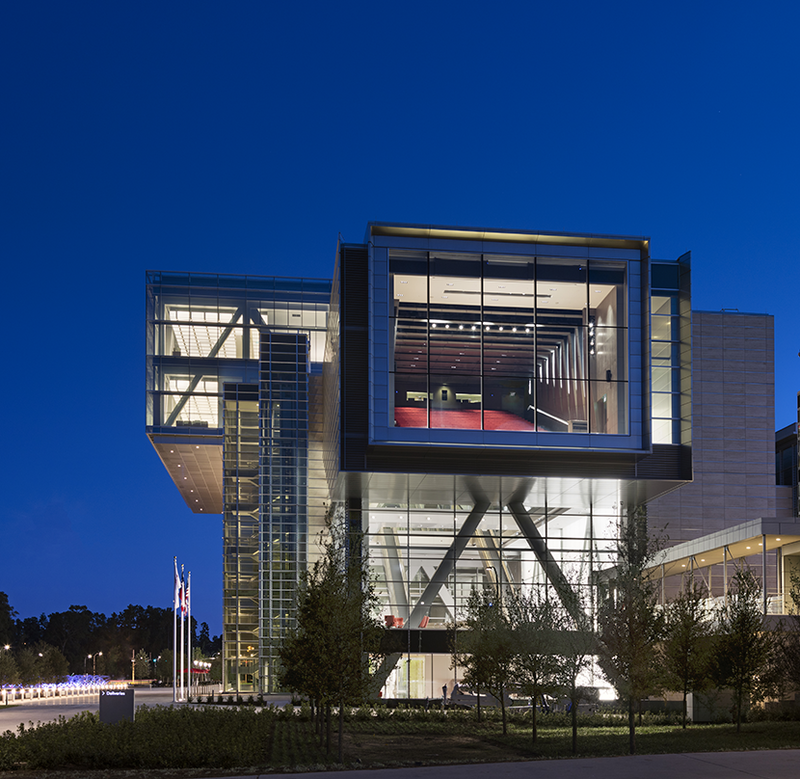 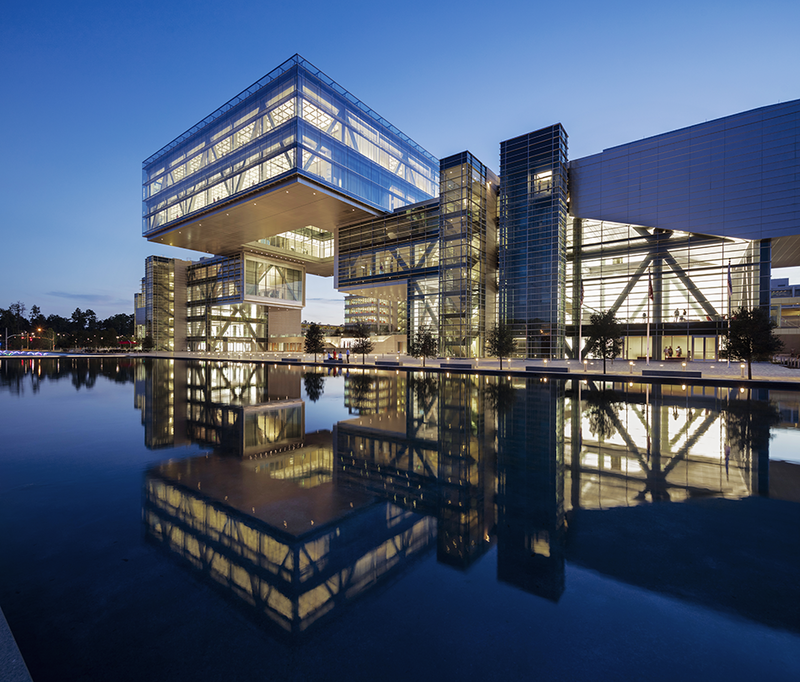 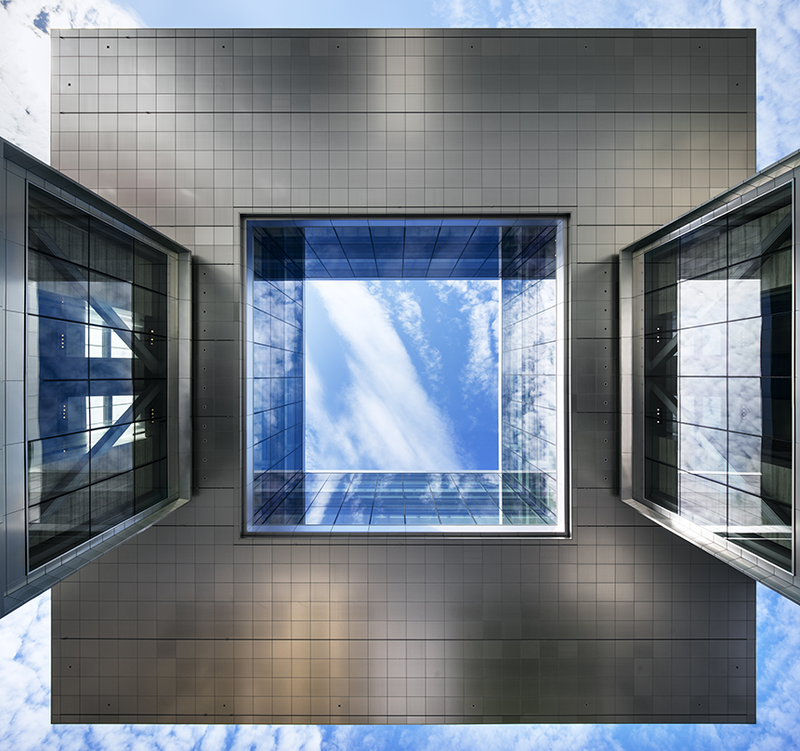 The Energy Center’s main feature is a 10,000-ton floating Cube that appears to hover above the plaza below. 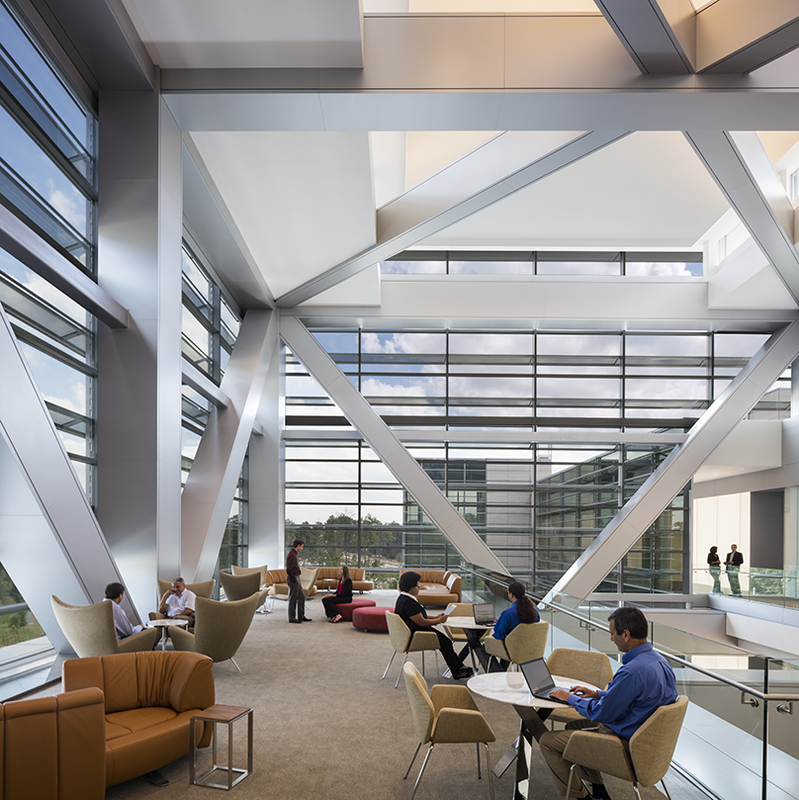 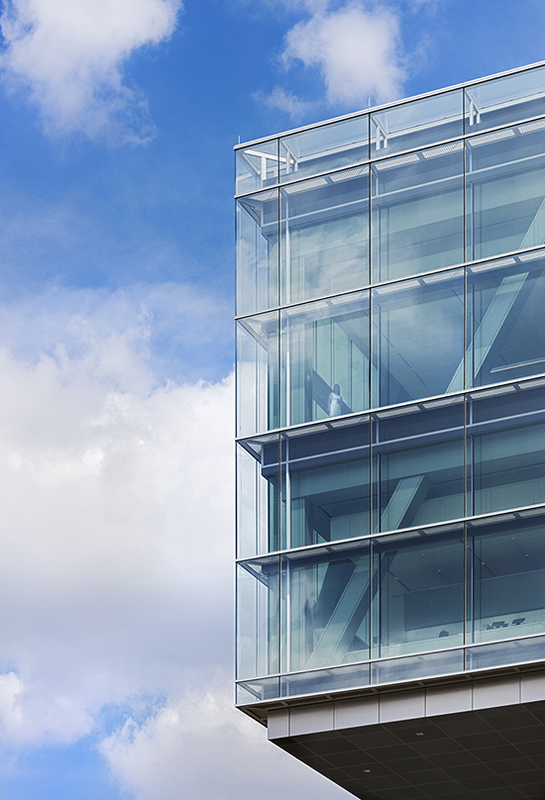 The Cube offers spectacular views back to the campus and out over the wooded campus. 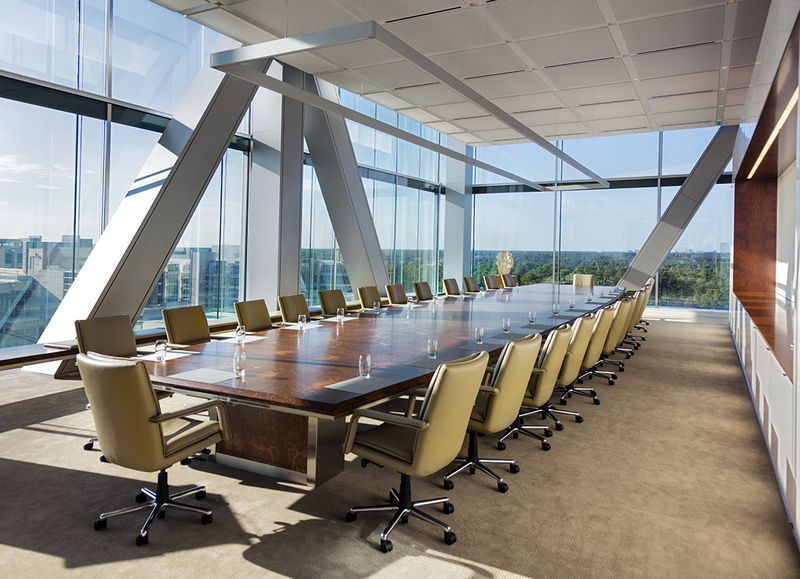 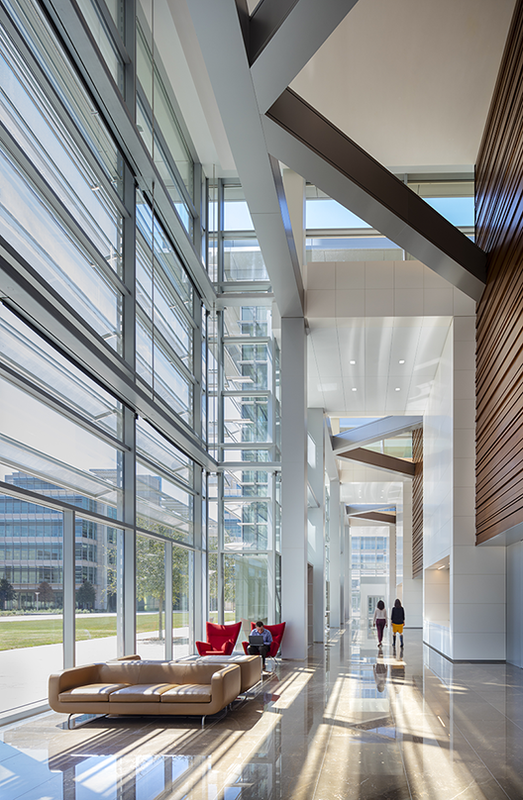 Two multi-story atria located in the wings create gathering spaces for visitors and employees. 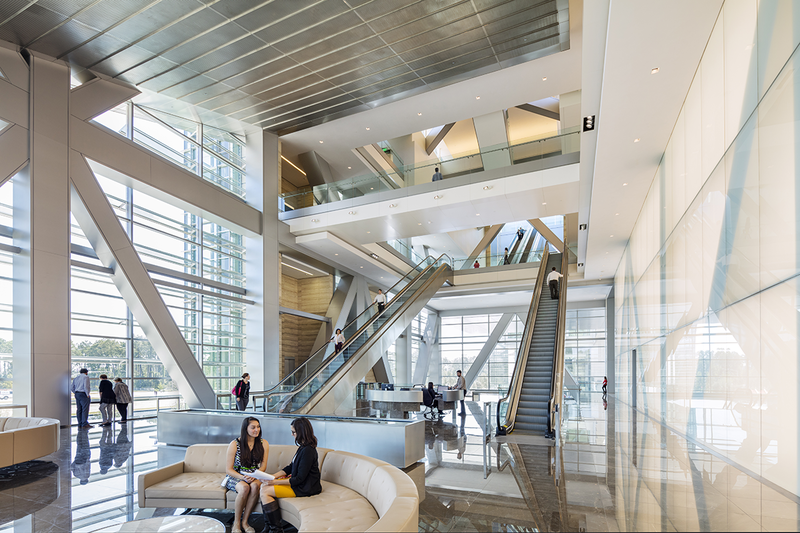 Monumental stairs and escalators cascading openly through the space, and glass elevators at the facade, lead people through the Energy Center and up into the Cube.